When discussing the most talented quarterbacks in the league, you’ll be hard-pressed to find someone who doesn’t immediately think of Tom Brady or Aaron Rodgers. But what about the underrated quarterbacks who don’t receive as much attention? You know, the ones who just go out and get the job done, but don’t really have the accolades to go along with their on-field numbers? Maybe these guys are just too young to be placed in the top-tier of quarterbacks just yet, or maybe they aren’t ranked that highly due to the fact that they have little postseason success. Whatever the reason, these five underrated quarterbacks deserve some love, and we’re going to give it to them. 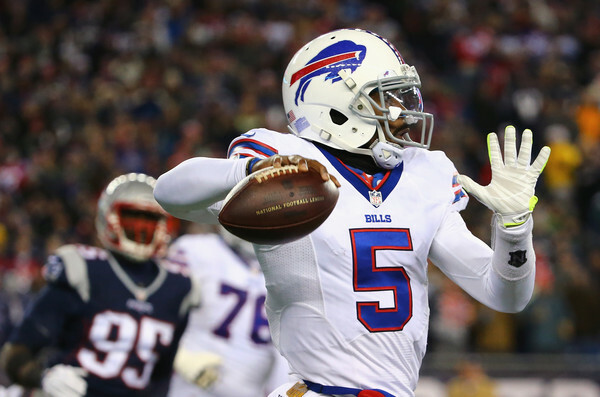 There’s a reason why Tyrod Taylor falls into the category of underrated quarterbacks; he has only started for one NFL season. Before that, he played in just 14 games over four years. So, it’s understandable why Taylor doesn’t get much love, but we’re going to tip our cap in his direction. During the 2015 season, he completed 63.7% of his passes for 3,035 yards, 20 touchdowns, and just six interceptions. Taylor rushed for 568 yards and four touchdowns as well. If he has another season like this in 2016 — and can help the Bills get over that .500 mark — many people will be talking about Taylor pretty consistently. Derek Carr is another young player, but he started right out of the gate as a rookie in 2014. The question is, what’s the hold on giving him more love? 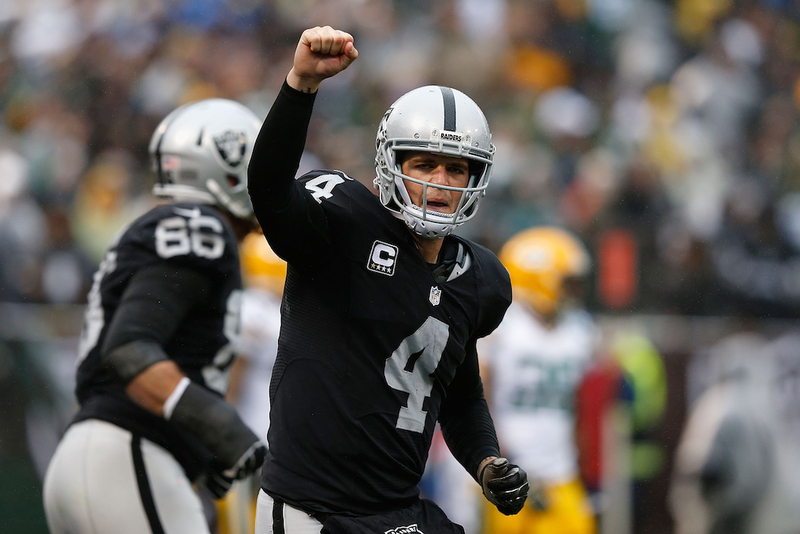 Many fantasy experts and quarterback “gurus” don’t love Carr all that much, but they should. As a rookie, he was above average, throwing for 21 touchdowns with 12 interceptions. He took a huge leap forward in his sophomore season with the Oakland Raiders though, as he threw for 3,987 yards, 32 touchdowns, and just 13 interceptions. It’s hard not to love Carr’s game, and we expect him to have a stellar year in 2016. Time to talk veterans — and the player must be Tony Romo, who has not only broken a massive amount of team records, but has been the definition of “when he’s good, the team is good.” The 2015 season should be a prime example of what we’re talking about, as the Cowboys went 1-11 without their main signal caller. In fact, most people tend to throw negativity in the 36-year-old’s direction instead. 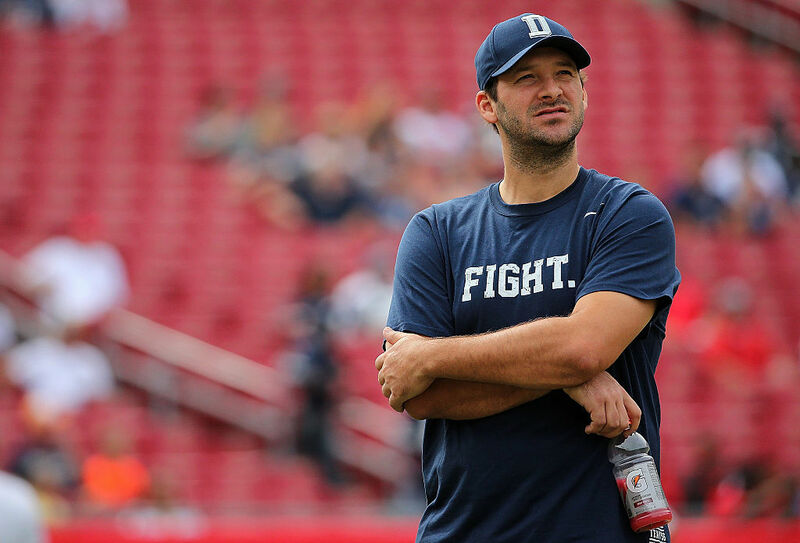 Romo’s biggest issue is the fact that he hasn’t led the Cowboys to a Super Bowl. But hey, let’s not forget that there’s 22 players between the offense and defense, and you can’t blame just one of them. Andy Dalton deals with a lot of postseason criticism, probably because he’s 0-4 in the postseason and has performed pretty terribly there. With that said, his ability as a quarterback in general, specifically during the regular season, often gets overlooked. He’s compiled a 50-26-1 record with the Bengals, while throwing for 18,008 yards and 124 touchdowns. Dalton is getting better overall, which is the key here. Since the 2013 season, his completion percentage has improved each year. If not for an injury in 2015, Dalton would have experienced the best year of his career by far. Through 13 games, he tossed 25 touchdowns against just seven interceptions. Expect Dalton to get his revenge in 2016 and post massive numbers. Of all the underrated quarterbacks in the NFL, Blake Bortles may take the cake. We’re pretty sure that the 24-year-old gets overlooked due to the fact that his team isn’t good — or at least they weren’t good. The Jaguars now have plenty of talent and are primed for a turnaround in 2016. As for Bortles himself, the jump he made from his rookie season to his sophomore season was pretty incredible. In 2014, his first year, he threw for 2,908 yards, 11 touchdowns, and 17 interceptions. His sophomore year? He more than tripled his touchdowns (35), while throwing 18 interceptions. Oh, he also went for 4,428 yards, proving that he’s more than comfortable with shouldering the offensive load. It’s time to give some love to Bortles, who is still overlooked heading into 2016.